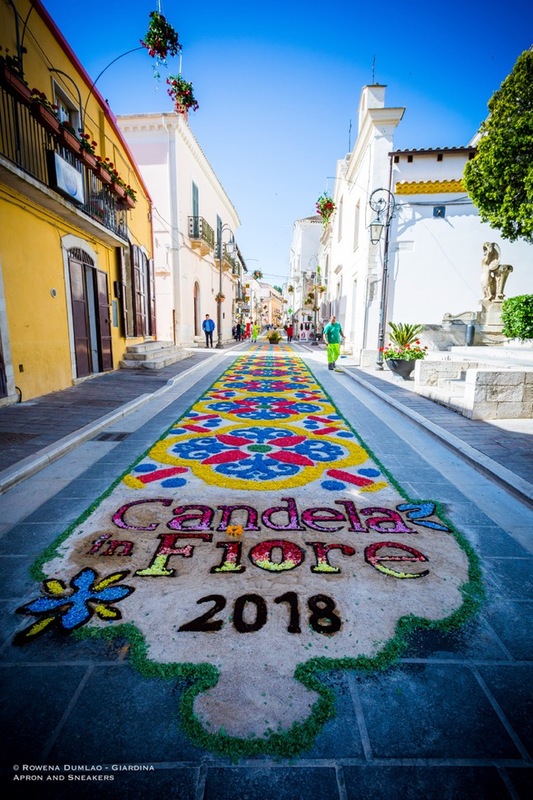 The six-day program highlights visits of a few towns in the Monti Dauni, a mountain range in southern Italy, but the foreground is the Infiorata of Candela. 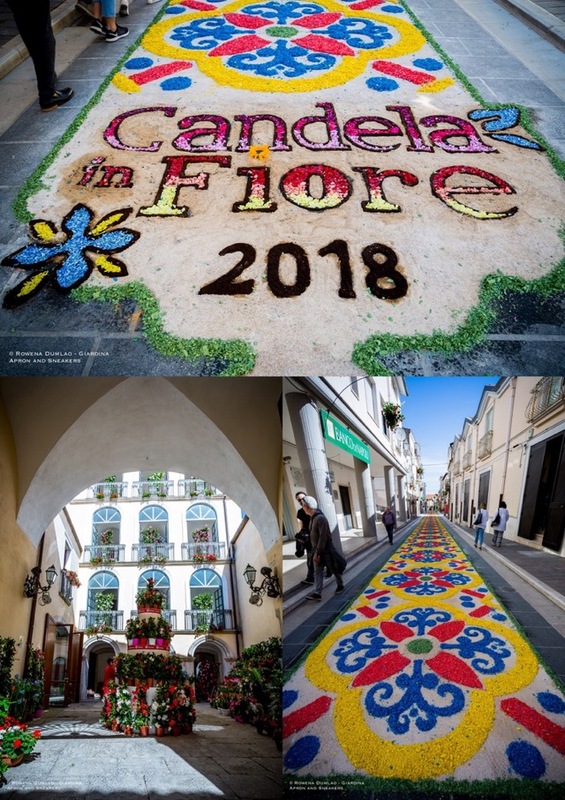 Entitled Candela in Fiore, the event is already on its 5th year which has been enjoying a huge success with visitors from neighboring towns. 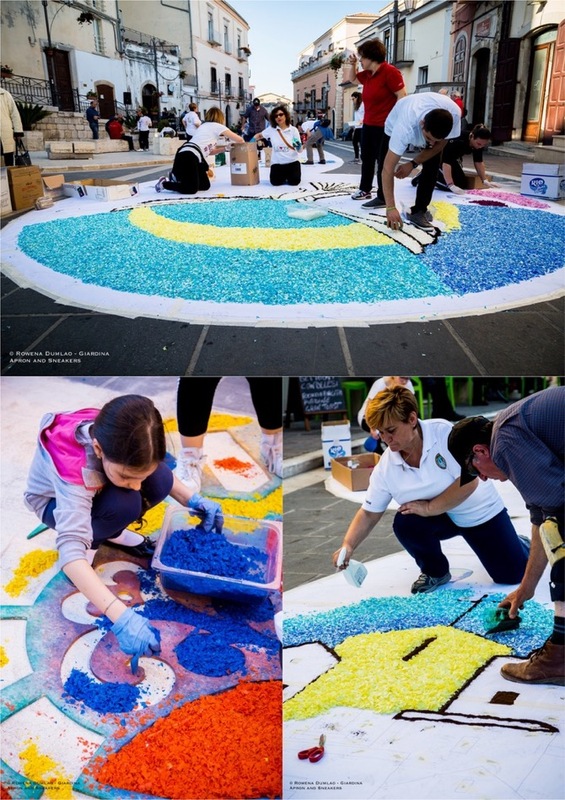 On the day of the Infiorata, Corso Vittorio Emanuele, the main road, is covered with mosaic carpets of flowers starting from the Municipal building all the way to its main square, Piazza Plebiscito. 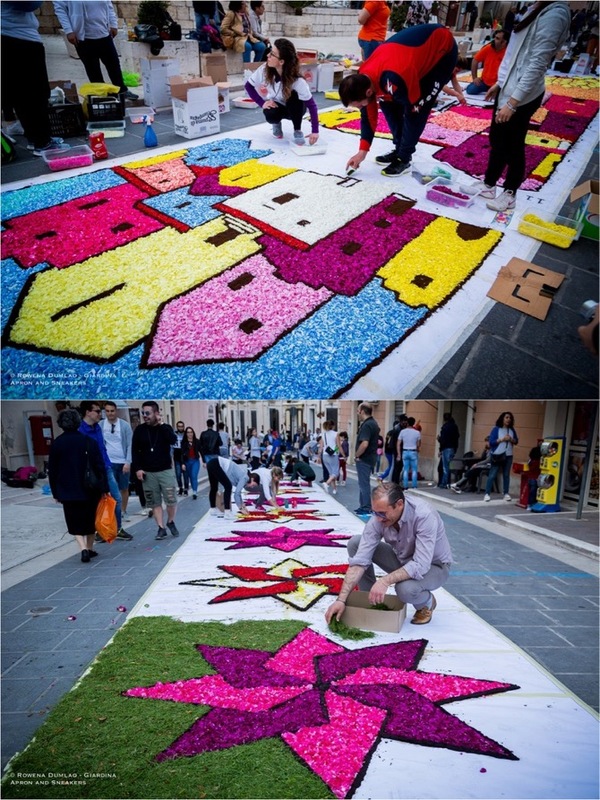 Thirty six thousand flowers, petals separated from the receptacles and stalks and composed skillfully into fragments of colorful artworks by the people of Candela are utilized in making one of the most beautiful spectacles. 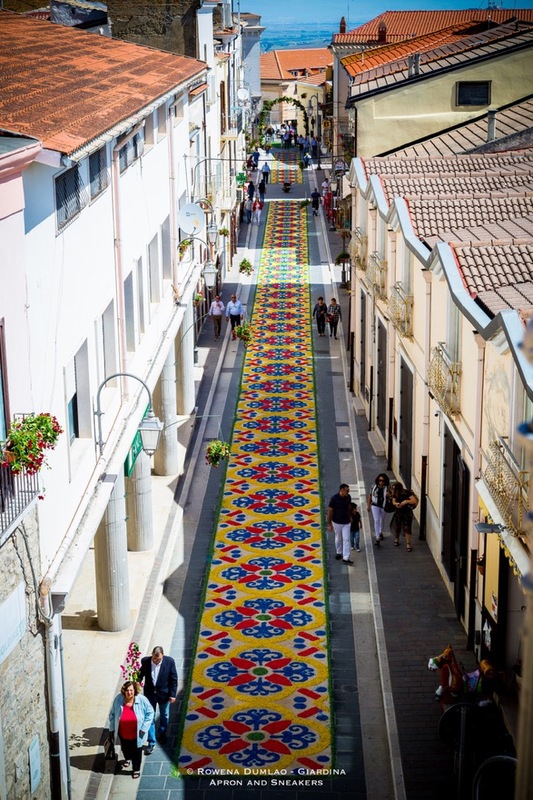 With a population of less than three thousand, the whole town had an important project to conclude within 24 hours: to execute the flower carpets on the ground that were designed by six Infiorata masters. 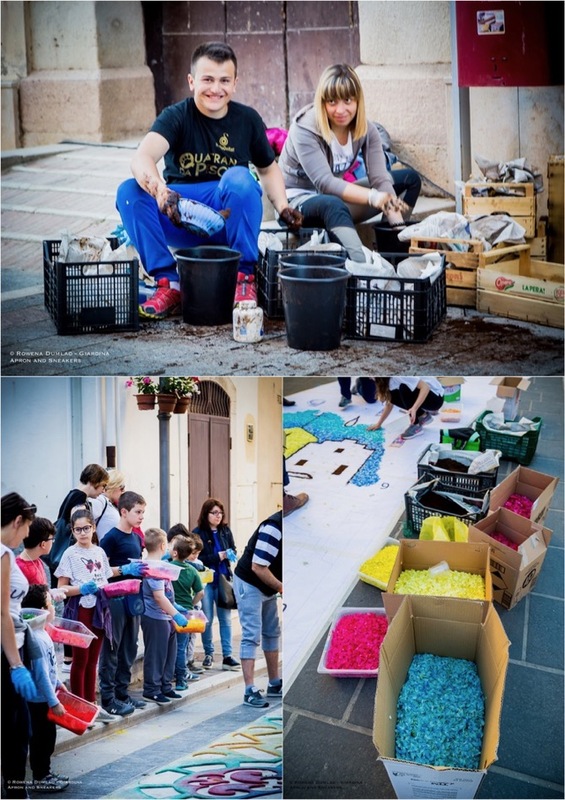 Candela a small town that’s a part of the Comunità Montana Sub-Appennino Dauno Meridionale, currently headed by Mayor Nicola Gatta and with a population of not more than three thousand. 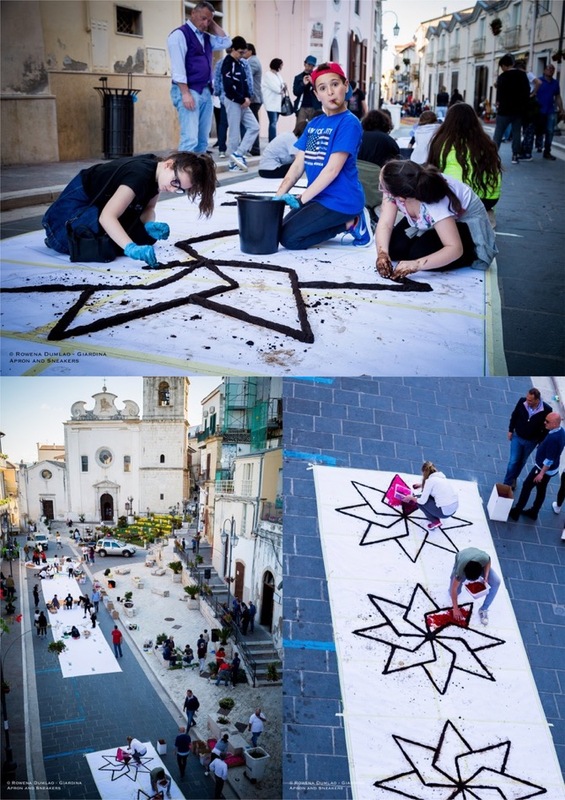 It has maintained a tranquil rural imprint over time in which the town sustains a tightly-closed community. 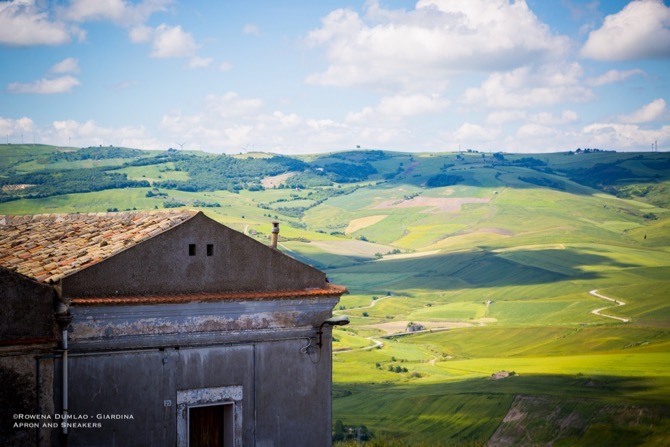 With its high position at about 500 meters above sea level, you can enjoy a 360-degree picturesque view of the hills surrounding the town. 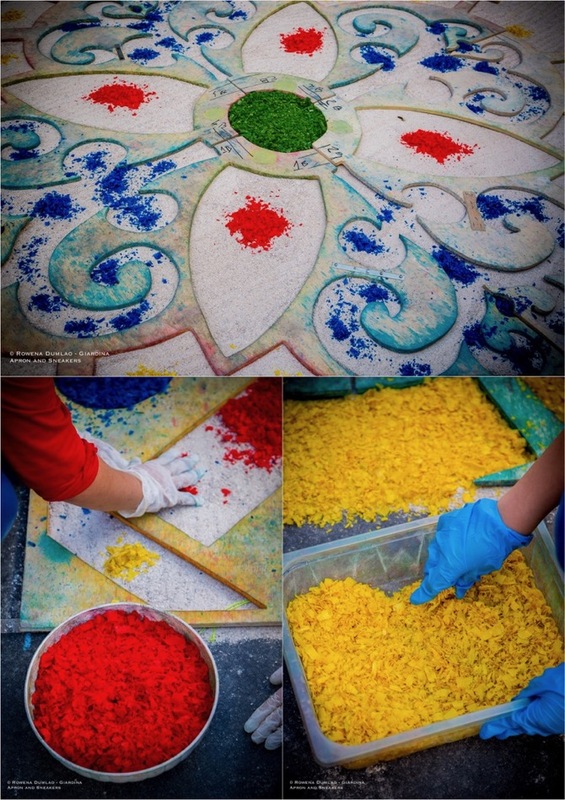 Infiorata literally means decorated with flowers in English. 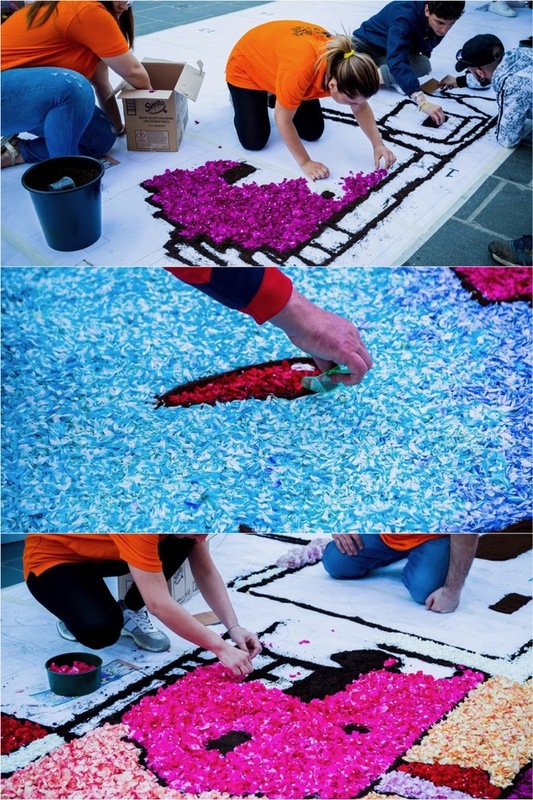 It’s story started in the Vatican in the 17th century when Benedetto Drei, Vatican’s head florist and his son Pietro created the first flower tapestry on the 29th of June 1625 to commemorate the Feast of Sts. Peter and Paul, patron saints of Rome. 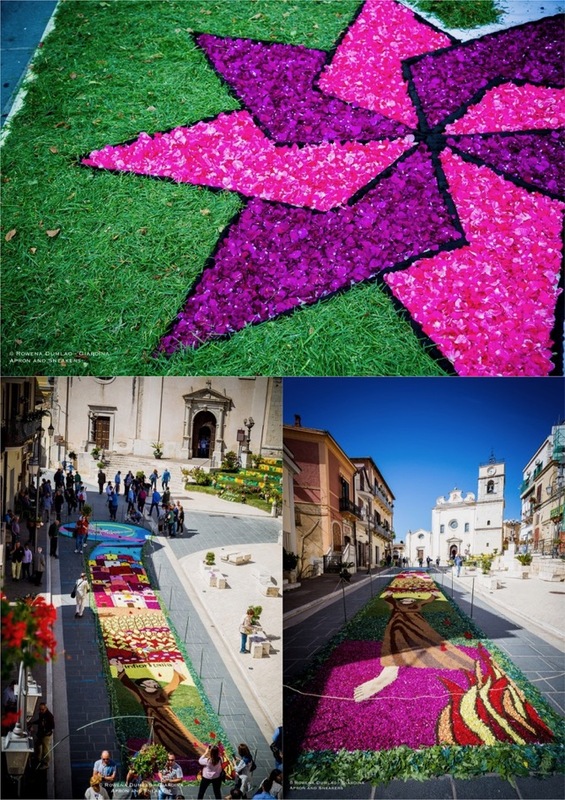 In the year 1633, the second floral art came out and it was done by Gian Lorenzo Bernini’s collaborator, Stefano Speranza. 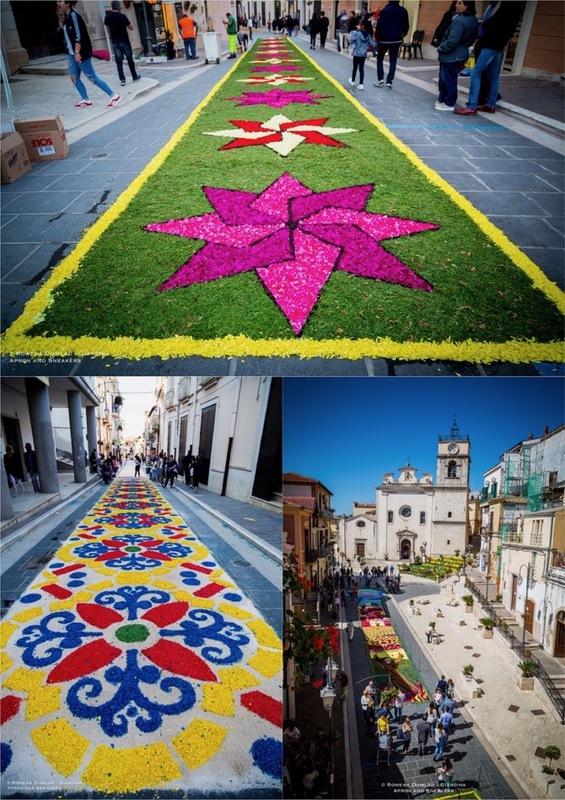 While the art of floral carpets disappeared in Rome at the end of the seventeenth century, Gian Lorenzo Bernini, revived it in the eighteenth century in the outskirts of Rome, mainly the Castelli Romani during the baroque art festivals he organized. 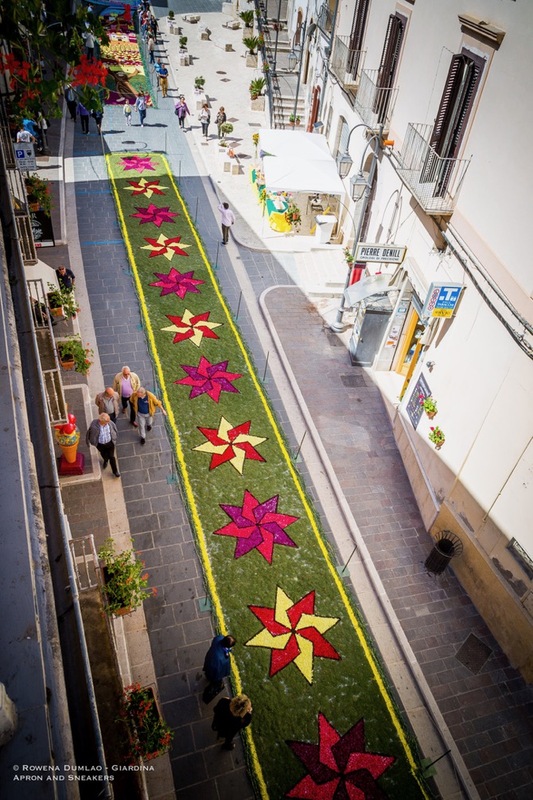 The first big floral carpet display that was set up was in 1778, in the town of Genzano in Castelli Romani in connection with the Corpus Domini festival. 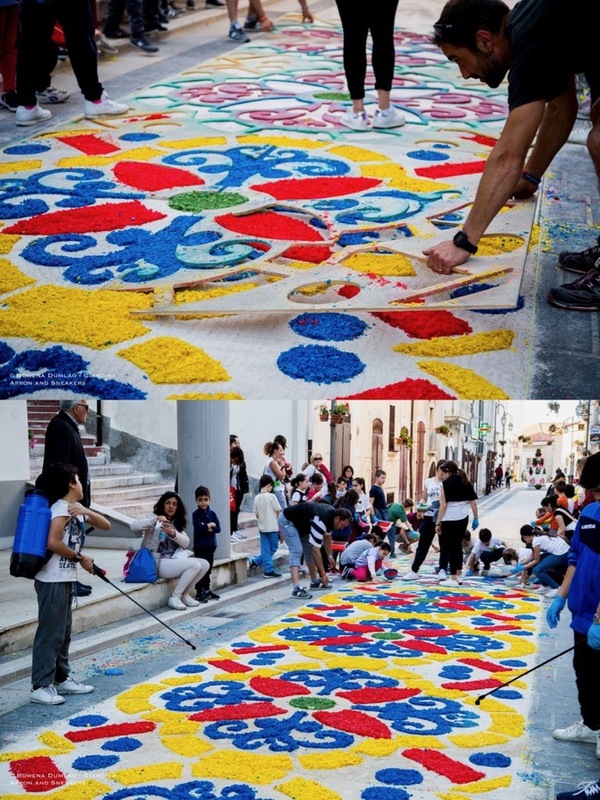 Since then, more localities in Italy, as well as Europe set up their own infiorata, usually linked to the Christian religious festivals. 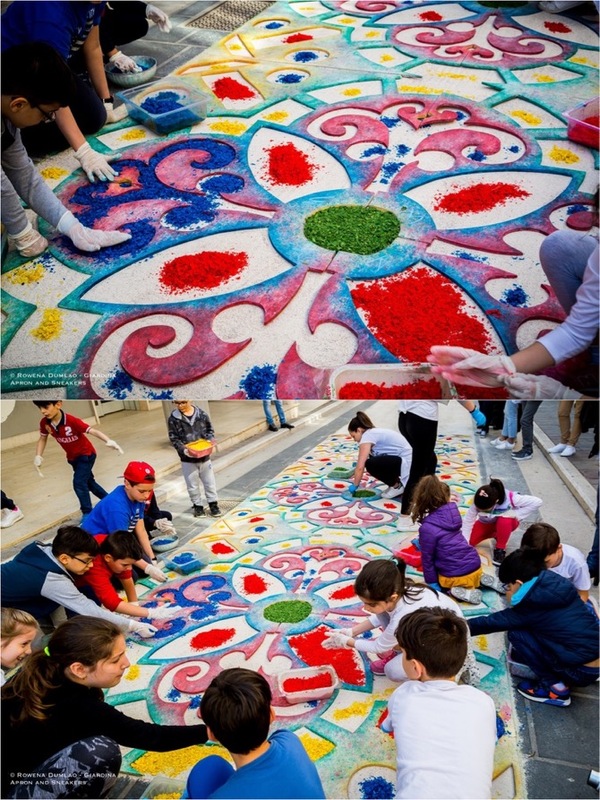 Candela’s Infiorata is younger and smaller, compared to the others that are celebrated in Italy but what makes it special is that every single citizen of its small population of less than three thousand, participates and contributes in their own way to the fruition of this colorful feast that happens two weeks before Corpus Domini. 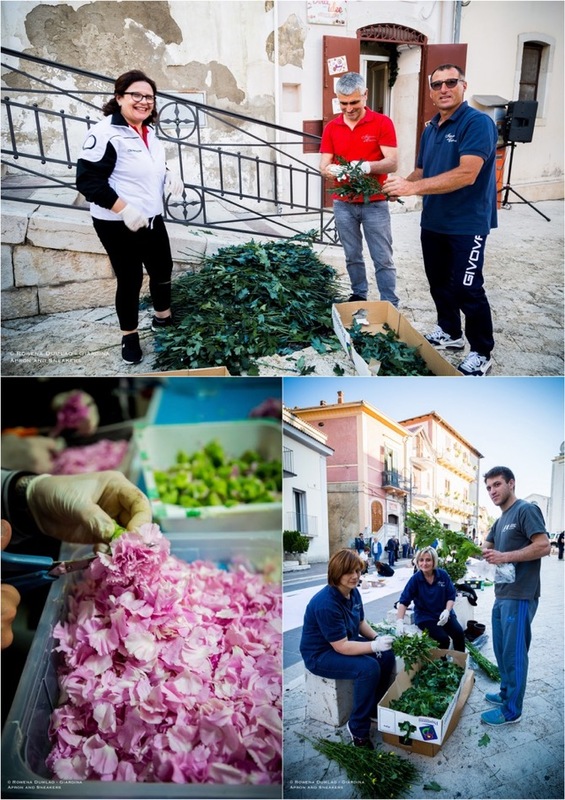 From the first citizen of the town, Mayor Nicola Gatta to the smallest member who’s able to lend a hand, a collective heave of effort that lasts for almost 24 hours occupy the usually quiet hilltop town of Candela. 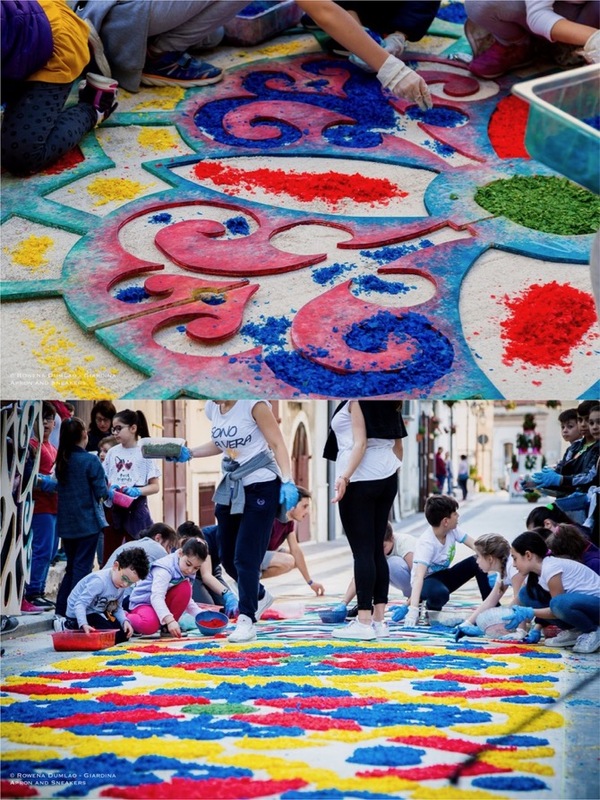 Calenda’s celebration is a personal festivity and quite an impressionable experience to observe and to be a part of. 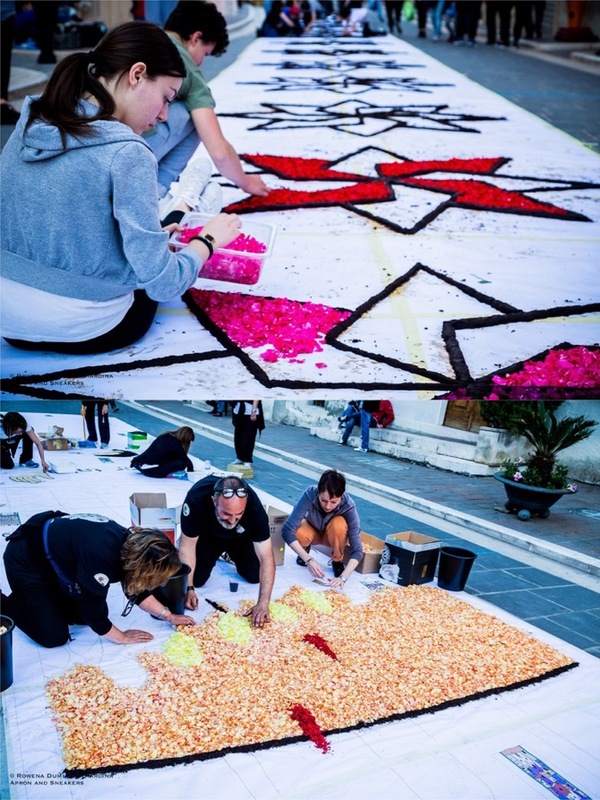 Some preparations start a couple of days before while the principal work starts a day before the Infiorata. 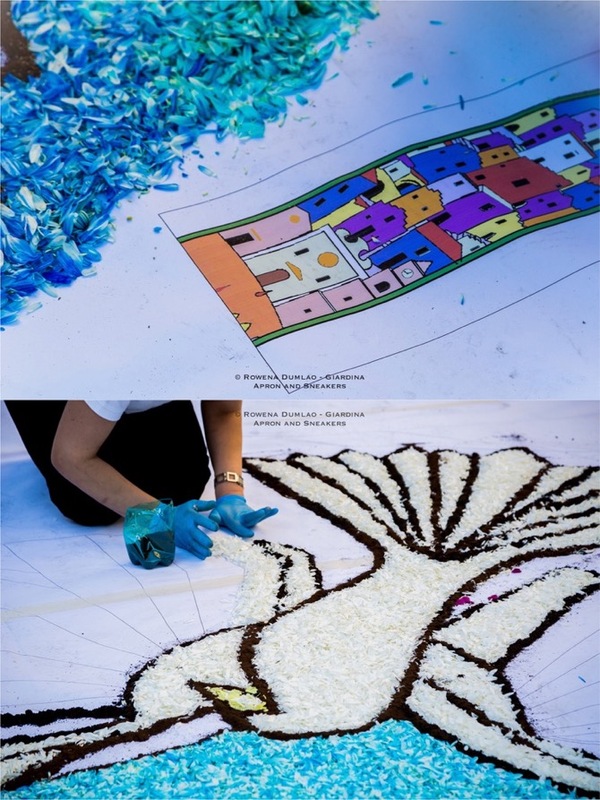 In the morning the day before the festival, the bulk of the flowers and plants arrive to the main hall as the men set up the road and square for laying out the guides on the ground – flattened sand, long rolls of paper and chalk designed on the road. 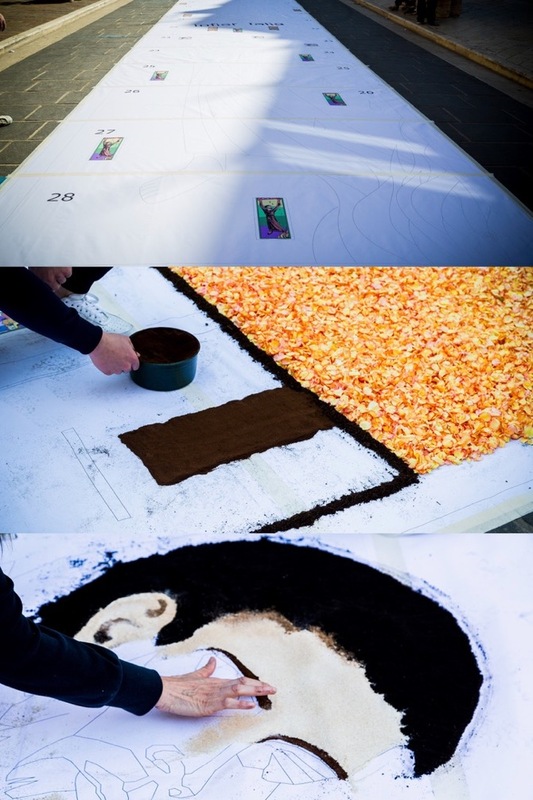 In the early afternoon, more people start working in laying out the coffee granules on the designs, and colored wood shavings are spread out on the carpets, a job assigned to the kids and their teachers for this year. 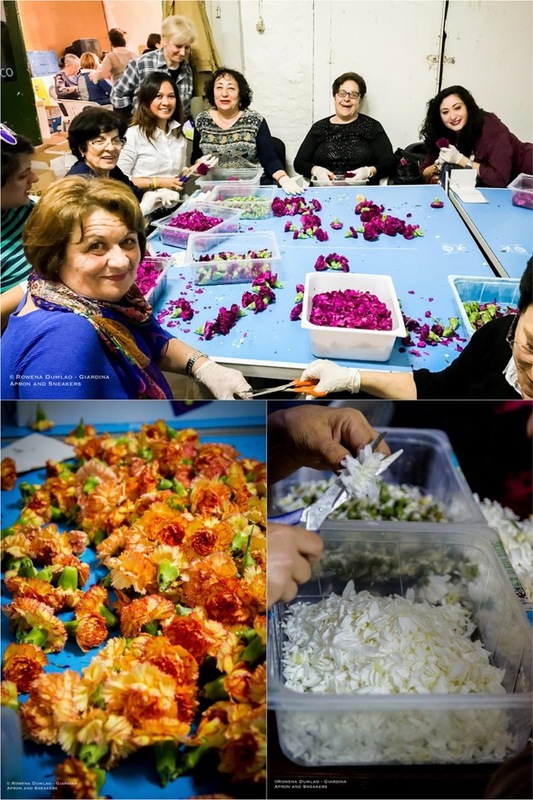 In the main hall, the atmosphere is feverish as the women start snipping the petals away from the stalks and receptacles with their scissors continuously. 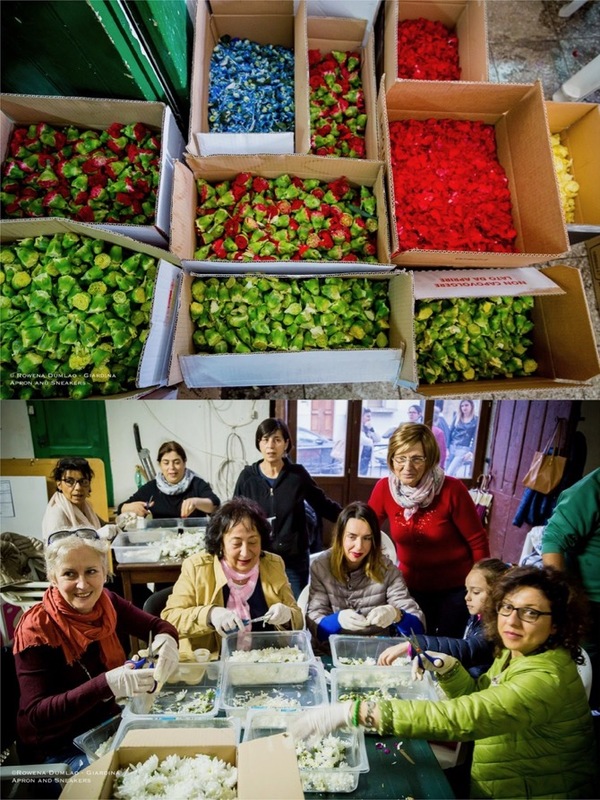 Groups are assigned to different colors. 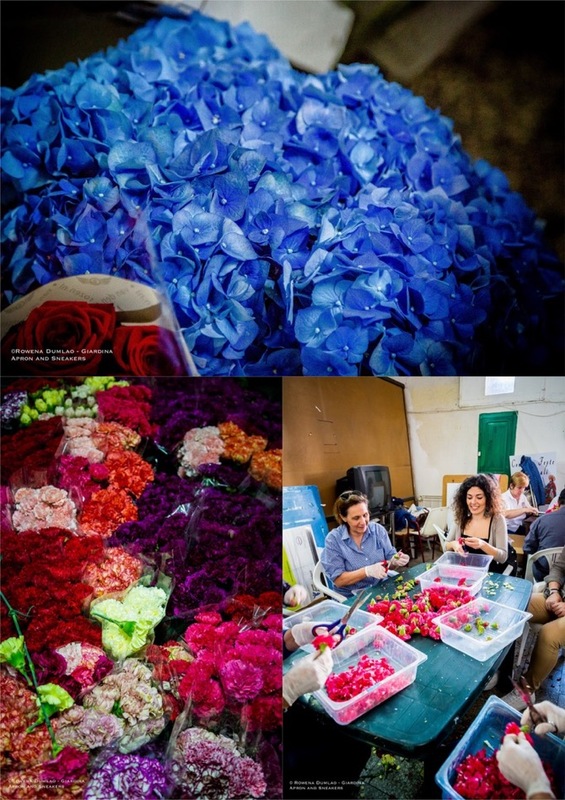 The more physical work of delivering new bunches of flowers to the cutters and taking out large boxes of petals were handled by the men as the ones assigned outside fill up the designs with the petals. There’s a lot of noise, incessant laughter, and raised voices of orders. 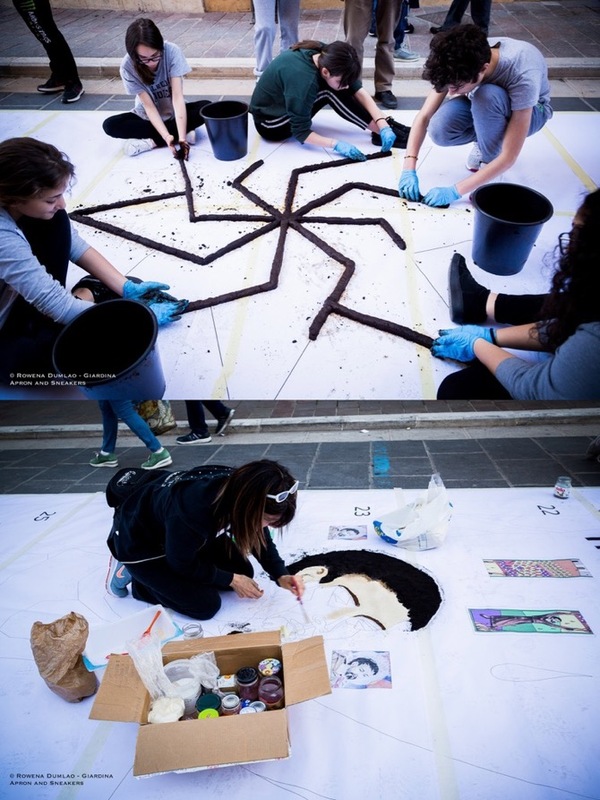 Not a single pair of scissors is left unused for longer than a minute as soon as its user lays it down on the table to rest. 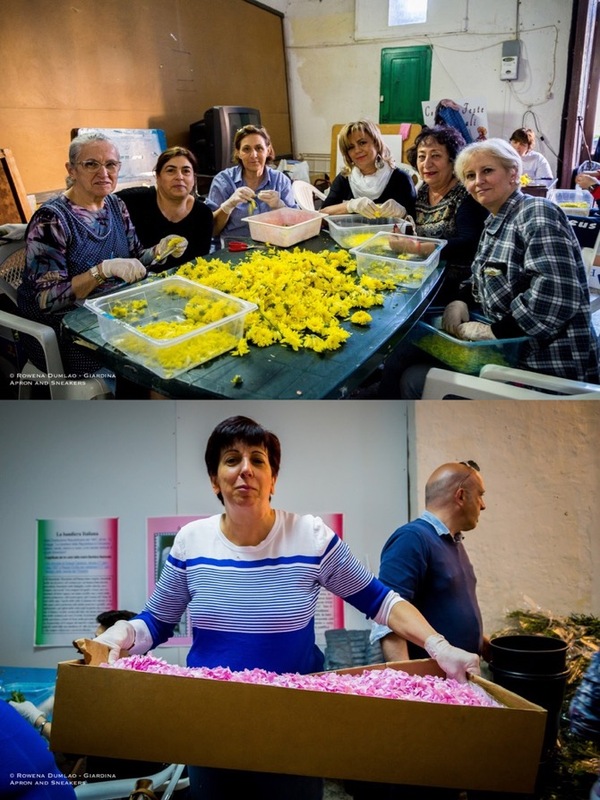 People take over the jobs of the ones who are resting. 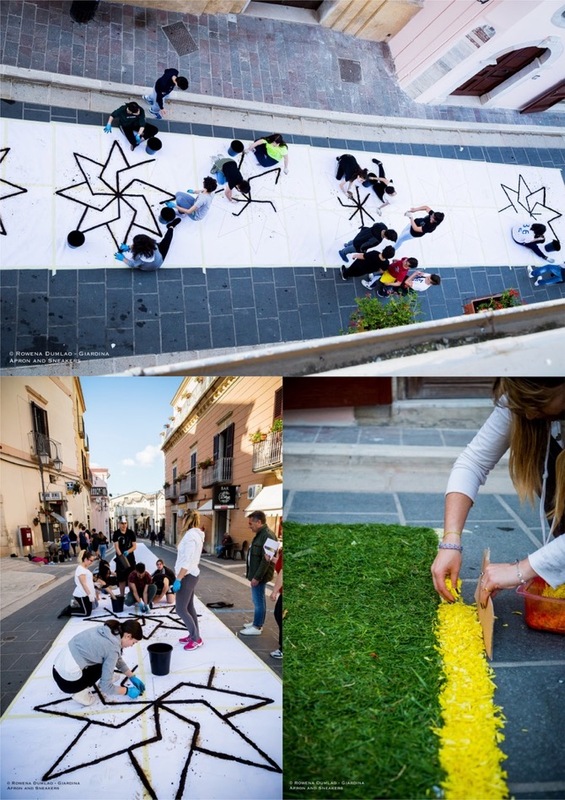 Chairs are all fully-occupied, hands doing fast repeated movements, cold refreshments arrive continuously. 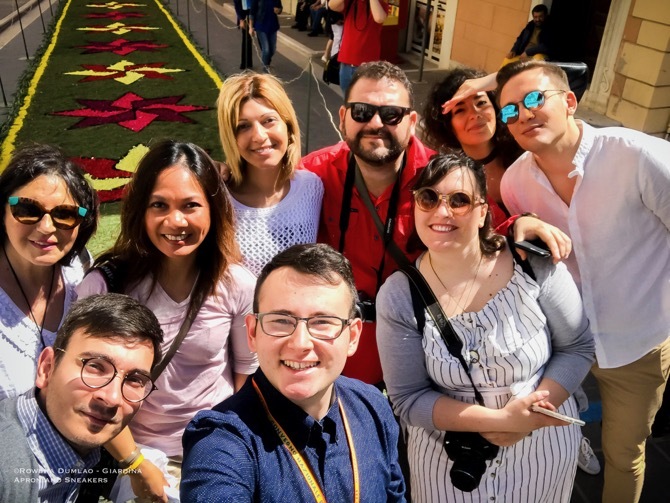 No one had the reason to stand up unless they’re going straight home. It was frenetic especially when the sun was going down. 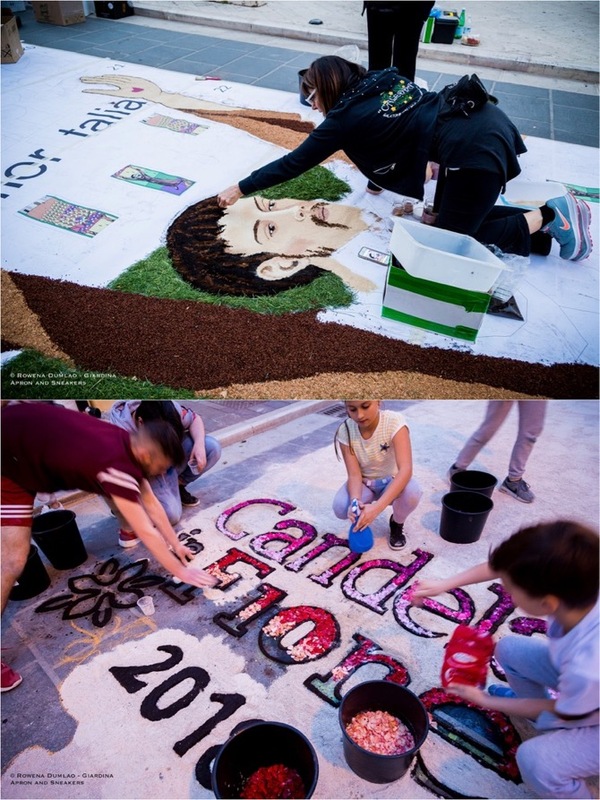 The Infiorata was starting the morning after and Candela was expecting thousands of visitors for that day. 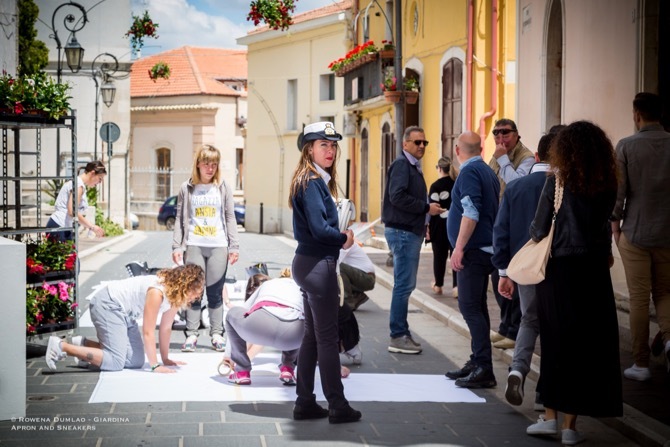 Along with the Infiorata, the town also has an outdoor market during the day and a display of vintage cars coming from different parts of the country. 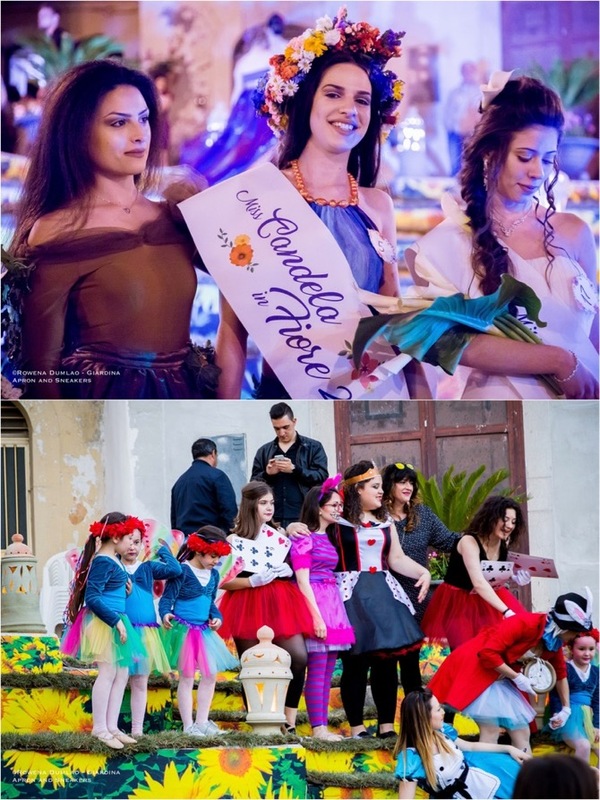 The Infiorata was concluded with a beauty pageant participated by seventeen local girls to be crowned Miss Candela. 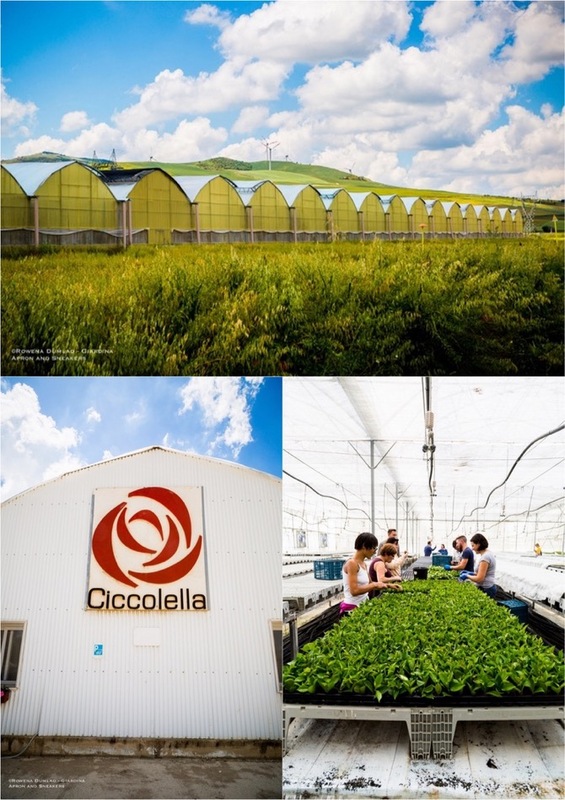 A major supplier of flowers is Eurosa of the Ciccollela Group, the largest energy farm in Italy and the second largest in Europe with 250 hectares of space, 85 hectares of which are dedicated to greenhouses. 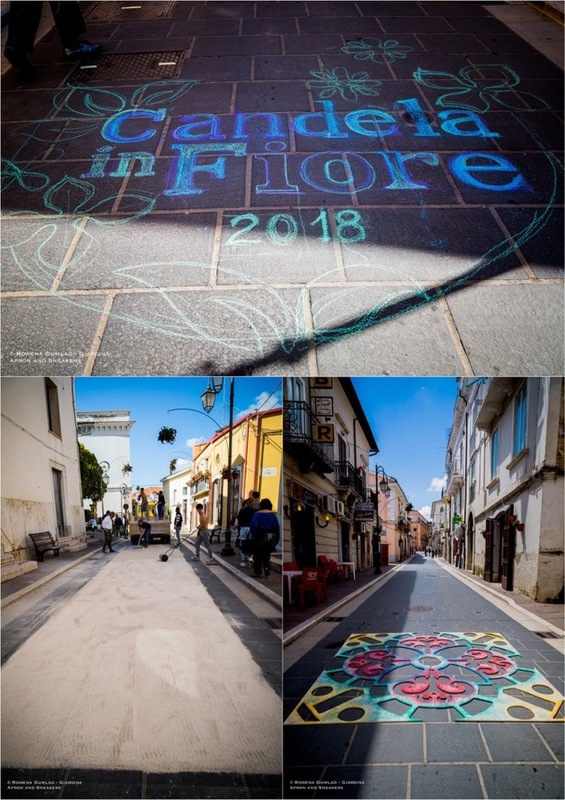 It’s located just a few kilometers from Candela and they produce dipladenia (or sundaville), more than 100 varieties of succulents and other seasonal plants.